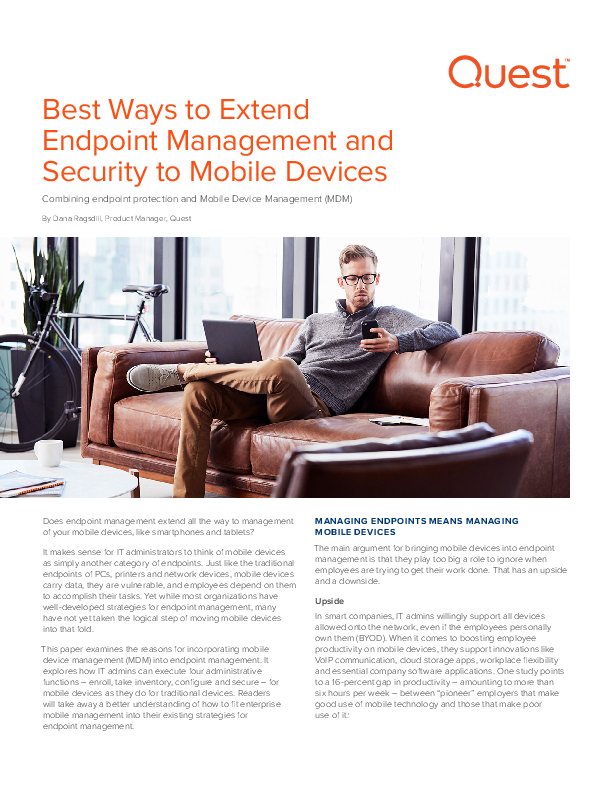 This paper examines the reasons for incorporating mobile device management (MDM) into endpoint management. It explores how IT admins can execute four administrative functions – enroll, take inventory, configure and secure – for mobile devices as they do for traditional devices. Readers will take away a better understanding of how to fit enterprise mobile management into their existing strategies for endpoint management.